Lillehammer has since 1995 organised the The Norwegian Festival of Literature, which has grown to become the largest literature festival in the Nordic region. In 2013 the festival had more than 24 000 visitors. The festival takes place over a six day period in the end of May/beginning of June every year and offers more than 200 events. The festival has a primary emphasis on Nordic contemporary literature, but has in recent years acquired an increasingly international profile. International authors who have taken part in the programme include J.M. Coetzee, Märtha Tikkanen, Nuruddin Farah, Shaun Tan, Ko Un, Adonis, David Vann, André Brink, Kate Morton, Herta Müller, and John Irving. The festival is Norway’s largest book industry event: International publishers and translators attend to meet Norwegian authors and editors. Every year the festival invites the year’s debut fiction authors from Norway to take part in a seminar specifically tailored to their needs, where new authors convene to learn, get to know one another and find inspiration. In Lillehammer and the neighbouring municipality of Gausdal we find the homes of two of Norway’s three winners of the Nobel Prize in literature, Bjørnstjerne Bjørnson (Nobel Prize in 1903) and Sigrid Undset (Nobel Prize in 1928). The author residences Aulestad and Bjerkebæk are open to the public, offering guided tours, special events and performances. Both locations have new public facilities with visitors centres and cafés. The Norwegian Festival of Literature started out as a festival about Sigrid Undset and her literary works. A Sigrid Undset lecture is included in the festival programme every year. In collaboration with Lillehammer University College, the festival also schedules a lecture every year in Bjørnson’s name. Both Bjørnson and Undset demonstrated a strong civic and social commitment. Bjørnson fought for small nations’ right to freedom and independence and as time passed he became more and more involved in peace-related issues. Undset was a clear voice in opposition to the racial theories of Nazi Germany and her attitude towards Nazism and involvement in the situation of the Jews led to her having to flee the country when Norway was occupied in 1940. Lillehammer municipality in 2008 passed a resolution whereby it became an ICORN International City of Refuge. In so doing, the city has assumed a particular responsibility in the struggle for freedom of expression, by offering shelter for authors who are suffering persecution in their country of origin. The individual author is in principle allocated a period of two years. Thus far Lillehammer has accepted two ICORN Guest Writers and is now in the process of accepting its third. A collaboration has been established between The Norwegian Festival of Literature, the Nansen Academy, Lillehammer University College (HIL), the Norwegian Peace Centre, the region’s cultural community and Lillehammer municipality for the programme. In Lillehammer both visitors and residents experience a sense of proximity to the Norwegian cultural heritage. At the Maihaugen Outdoor Museum one finds a unique collection of traditional Norwegian buildings and living environments, which appear to have been taken straight out of the Norwegian folk tales. Today the city streets of Lillehammer are set up to accommodate walking tours through the Norwegian literary canon. 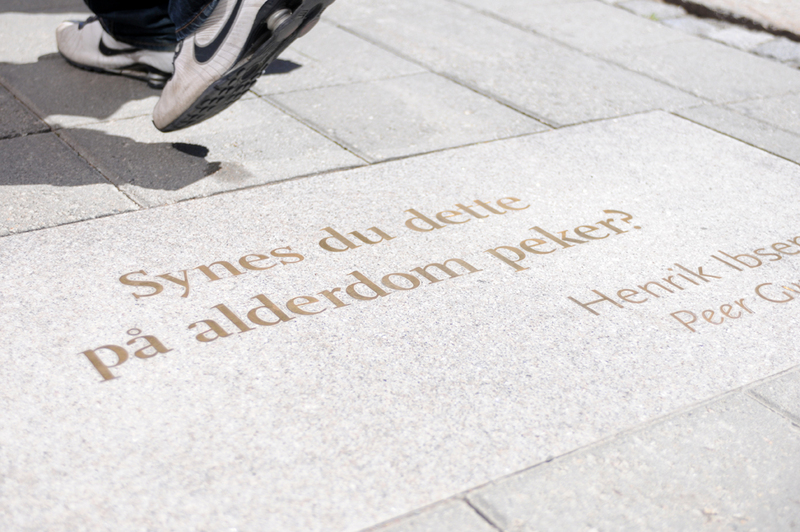 If one follows the trail of quotation stones, one moves from Edda to Henrik Ibsen, Sigrid Undset and Knut Hamsun, and on to modern Norwegian authors such as Jon Fosse and Dag Solstad. 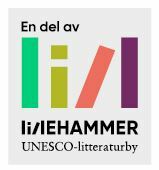 The literary community and other art and cultural communities in Lillehammer have the expertise and desire to further develop the literary programmes currently available. The institutions want to work towards increasing the visibility of the literary heritage and to provide good conditions for innovative activity. The cultural institutions and organisations in Lillehammer have extensive collaboration experience. The Norwegian Festival of Literature collaborates with important stakeholders including the Maihaugen Outdoor Museum, the Nansen Academy, Lillehammer University College and the Lillehammer Art Museum locally and with the large publishing houses, writers’ organisations and the Norwegian Association of Literary Translators nationally. Local initiatives build upon the established inter-institutional collaboration through the Lillehammer House of Literature, which opened in the autumn of 2012. 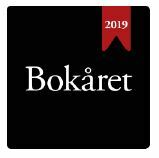 The Norwegian Festival of Literature, the Nansen Academy, the Lillehammer University College and the city library are all active participants there and every half year they have the possibility to present a programme proposal containing 25-30 programme items. Other organisations also become involved, making their own contribution, something which further strengthens the local society and sense of community. The Lillehammer House of Literature is situated in the city library, which has large, modern rooms, and is located centrally in the heart of the city. The Nansen Academy, founded in 1938 as the Norwegian Humanistic Academy, also functions as a house of literature and a literature academy. The academy holds a book week each year and meetings with authors are a key aspect of the study programme. The academy has its own creative writing programme, which every year educates and cultivates literary talents. The Nansen Academy works with many other projects and courses, the most well-known of these being the programme for peace and dialogue. Since 1995, approximately 150 dialogue seminars have been held at the academy for groups from regions at war. The Nansen Academy aspires to be a place where groups in conflict can speak to one another. The dialogue project connected to the Nansen Academy has attracted international attention and has been proposed as a Nobel Peace Prize candidate. The work can be viewed as a continuation of the international involvement of Bjørnstjerne Bjørnson. The Norwegian Film School was founded in 1997 and set up in Lillehammer as an arts education at the university college level. The school offers a three-year film and television education based on theoretical and practical instruction. As of 2013 the film school also offers a master’s degree programme. The students from the school have made their mark in the Norwegian film community and have received a number of international awards. The University College of Lillehammer also has a department for TV studies, including courses in documentary film and multi-camera production. Students from the film school, TV studies and from the programme Culture Project Management are active contributors in the planning and execution of a number of cultural events in Lillehammer. Lillehammer has an active and burgeoning film community, also outside the school. In recent years a number of feature films have been made in Lillehammer, as have international television series such as Lilyhammer. A regional film centre, Østnorsk filmsenter AS, is located centrally in the city, where they share premises with 12 other film companies. The Norwegian Festival of Literature has a separate, comprehensive programme for children and adolescents, Pegasus. They are hereby doing their part to profile literature for children and young people. Under the Pegasus programme authors meet with children and adolescents, from pre-school to secondary school age, for readings, book talks, debates and workshops. An important feature is the Uprisen programme, in which lower secondary school students choose their favourite books. Lower secondary school classes from other parts of the country are then invited to take part. The Cultural Rucksack, a national programme through which the country authority provides a comprehensive literature scheme for school children, ensures that all children have the chance to encounter literature in the schools. The intensive investment in the development of readers of the future has resulted in a significant increase in both reading and book sales per resident in Norway. Lillehammer is also the site of the Amandus Festival, a national film festival for young people under the age of 20. The festival, which is held annually in Lillehammer the week before Easter, is Norway’s largest and most important festival of its kind. In 2013 it was held for the 26th time. Young people come to the festival from all over the country to attend courses and show their own films. Here young film-makers meet with the professional film industry. Amandus also organises a film competition and screenplay competition. Lilllehammer is a small city of 25 000 residents. This has led to the city learning how to collaborate in order to produce large-scale events, to cooperation between the institutions of Lillehammer, and collaboration with institutions and organisations located elsewhere. But also collaboration with the local population has been important. During large-scale events such as the The Norwegian Festival of Literature, local residents are enthusiastic participants. Every year more than 200 volunteers take part in making the festival happen, a contribution of inestimable significance. It also demonstrates how the city residents are acquiring a proprietary relationship to the festival, much as they have with the authors’ residences and the Maihaugen Outdoor Museum. As a small and easily managed city, anything in the way of large events is visible; for one short week in May/June it is literature that dominates the city-scape, with banners hanging in the streets, authors, editors and journalists to be found throughout the city centre and books being sold everywhere. The proximity to the capital city Oslo is important in that it connects the city and The Norwegian Festival of Literature to the book industry, such as the large publishing houses, all of which are located there. During the festival Lillehammer is the place to be, so the book industry stakeholders come here. Many of the large publishing houses are also represented on the festival board and festival committee. Lillehammer has ambitions of playing a part internationally, also in the literary sphere. The largest literature festival in the Nordic region, the authors’ residences, and the Lillehammer House of Literature are all of key significance. But the city also has other institutions and forums that have a focus on literature. Combined, the stakeholders have a solid form of expertise in organising events for both residents and visitors. The city has a long tradition as a tourist destination, with many activities and experiences to offer. The University College offers a Bachelor’s programme in Travel and Tourism. Lillehammer has demonstrated that it possesses the will and capability to make an ambitious contribution, also internationally, a point for which both the 1994 Olympic Games and the Youth Olympic Games in 2016 serve as testimonies.